Start your tax prep early and avoid having to wait for a copy in the mail! When it becomes available, if you wish to get the electronic copy of the 2015 Form 1098-T TUITION STATEMENT instead of receiving the form by mail, please go to http://mycollege.cpcc.edu, sign on with your student ID, choose the “Student Menu,” click on “Financial Information” and select the “1098 Electronic Consent” link. The IRS strongly encourages the students to receive the 1098-T Tuition Statements electronically. The college will mail Form 1098-T no later than Jan. 31 to students who do not consent to receive Form 1098-T electronically. Per state, federal, and Internal Revenue Service (IRS) guidelines, beginning the 2014 year CPCC requested that all students provide their Social Security Number (SSN) or Individual Taxpayer Identification Number (ITIN) for reporting purposes. 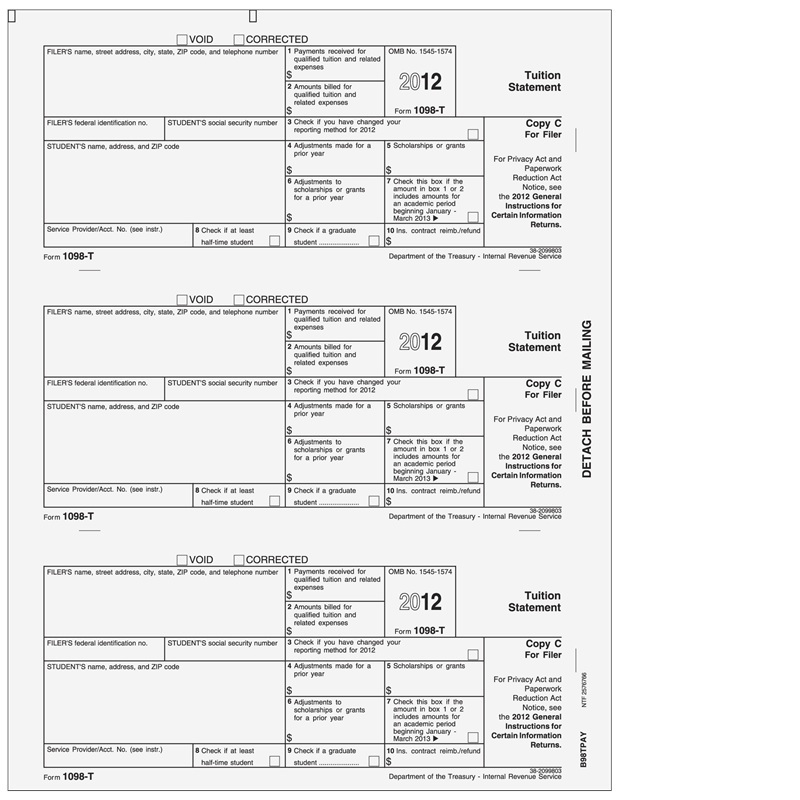 When it becomes available, if you wish to get the electronic copy of the 2014 Form 1098-T TUITION STATEMENT instead of receiving the form by mail, please go to http://mycollege.cpcc.edu, sign on with your student ID, choose the“Student Menu,” click on “Financial Information” and select the “1098 Electronic Consent” link. The IRS strongly encourages the students to receive the 1098-T Tuition Statements electronically. The College will mail Form 1098-T no later than Jan. 31 to students who do not consent to receive Form 1098-T electronically. Per state, federal, and Internal Revenue Service (IRS) guidelines, beginning 2014 Central Piedmont Community College (CPCC) will request that all students provide their Social Security Number (SSN) or Individual Taxpayer Identification Number (ITIN) for reporting purposes. Start your plans early! Avoid having to wait on a mail copy! When available, if you wish to get the electronic copy instead of the form by mail, please go to http://mycollege.cpcc.edu, sign on with your student ID, choose the Student Menu, click on the “1098T Paper Option” link. The IRS strongly encourages the students to receive the 1098-T: Tuition Statements electronically. Start your plans early! Avoid having to wait for a copy of this form in the mail. If you wish to get the electronic copy of the 1098-T TUITION STATEMENT 2012 form (once it’s available) instead of the form by mail, please go to http://mycollege.cpcc.edu, sign on with your student ID, choose the “Student Menu,” click on the “1098T Paper Option” link. The IRS strongly encourages the students to receive the 1098-T: Tuition Statements electronically. CPCC students now have a choice of receiving their 1098-T: Tuition Statements in the mail or electronically. 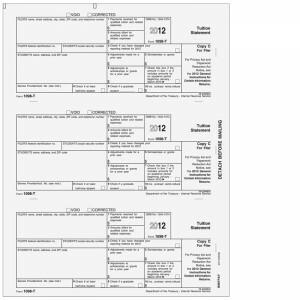 Your 1098-T forms will be available no later than January 31, 2012. You will receive an email to your student email account notifying you when the forms are accessible electronically at http://mycollege.cpcc.edu. If you wish to opt-out of receiving the form by mail, go to http://mycollege.cpcc.edu, sign on with your student ID, choose the Student Menu, click on the “1098T Paper Option” link and follow the screen directions.